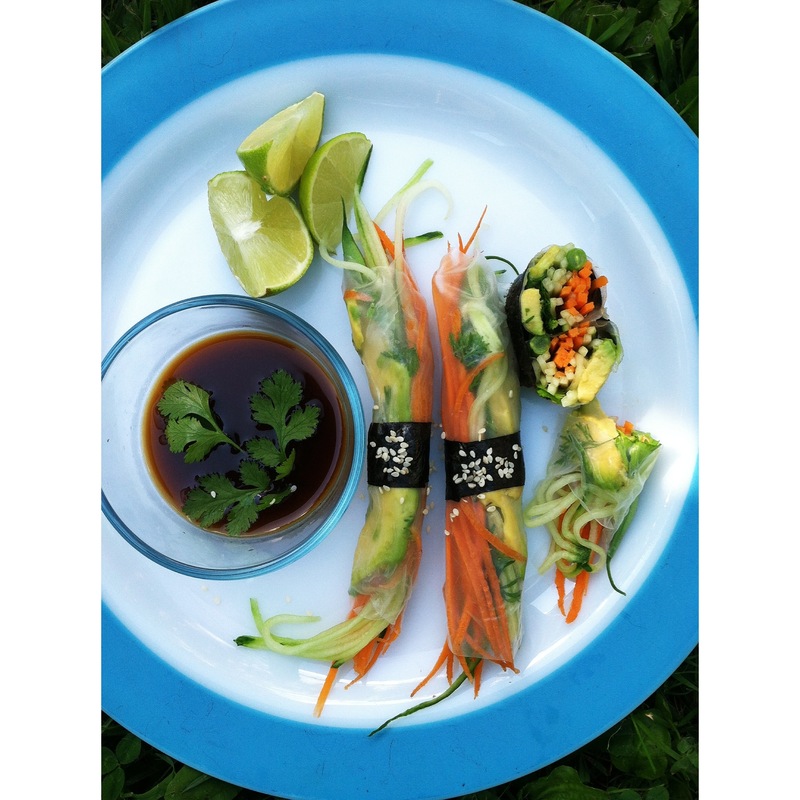 Summer Salad Rolls. | Eat More Plants. Simple and slightly sloppy salad rolls. It’s just too hot to cook anything! I make rolls often and I always have a variety of wraps on hand. No matter what I happen to be using, always know that you can use whatever you have; it doesn’t make a difference! I could have used collard greens or a tortilla and this would have been equally delicious. I chose to use bánh tráng dêo this time, which are rice paper wrappers. They come dry in a sealed package of 50-100 or so. They must stay dry and out of humidity because they absorb liquid quickly. To use rice paper wrappers efficiently, have all of your filling ingredients ready and a clean counter for assembling. I usually chop up all my veggies and other filling things and have them ready to go on my cutting board, along with a shallow bowl of cool water, a wet napkin (to clean your hands in between rolls) and an extra plate to put my rolls on when they’re done. Did each rice paper into your bowl of water, press down so the paper is submerged and remove it. Let it drip dry for a second and then lay it down and fill it up. Leaving your paper in the water for more than a few seconds will render it too mushy for rolling. 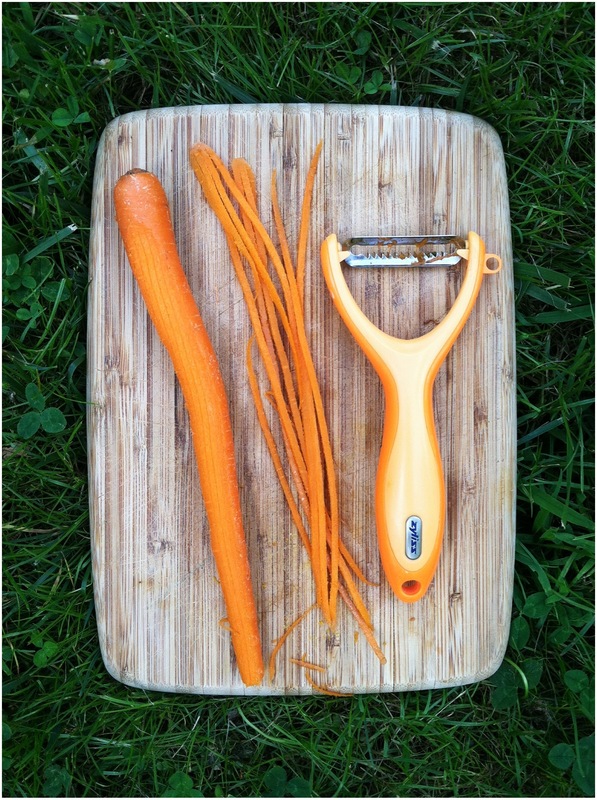 I used my julienne peeler to create super thin strips of carrots and cucumber. This tool is worth its weight in gold. No exaggeration. I use it all the time! 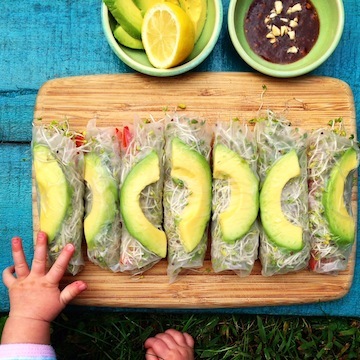 I also put some fresh string beans, avocado and cilantro into my rolls. A strip of nori wrapped around the middle of each roll is a nice touch although it’s not necessary to hold it together. The rice paper is sticky enough that it will hold itself together. It does have a bit of stretch to it, but don’t pull too hard or it will rip. Practice makes perfect! My first rice paper roll experience was not as pretty as this one but you get the hang of it after a few tries. I used ponzu sauce and sriracha for dipping with some extra lime on the side if needed. Backyard Berries & Chia Jam. The first thing that came to my mind… I LOVE IT!! thank you so much for this awesome post! !